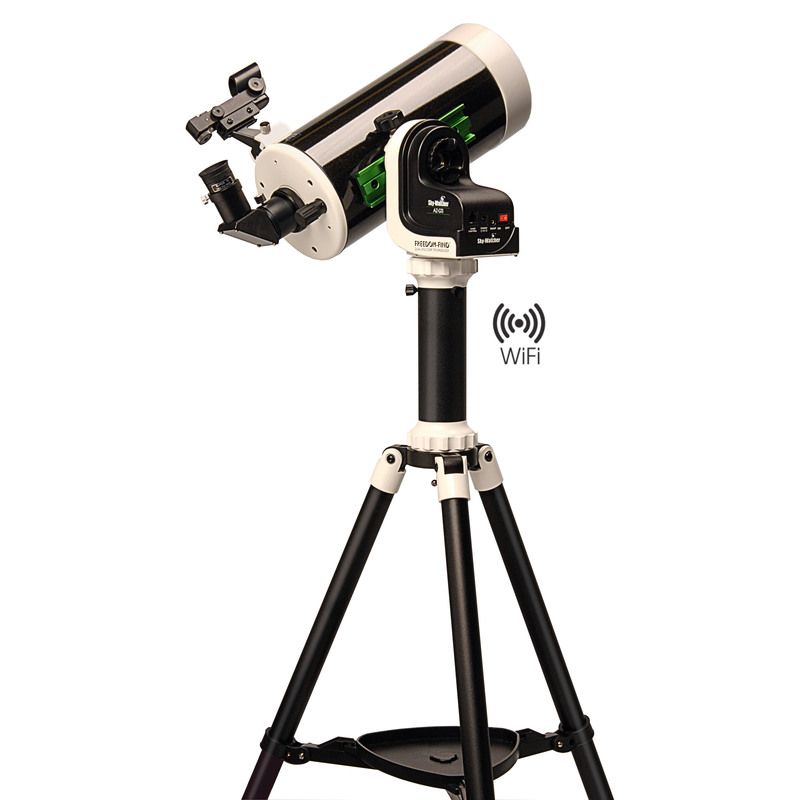 The highly portable Sky-Watcher SKYMAX-127 (AZ-GTi), has been designed to be controlled wirelessly with your Smartphone or Tablet, using the free SynScan App for iOS or Android. The AZ-GTi mounting, with it's built-in WiFi module, creates it's very own Wi-Fi network, so the mount can be used anywhere, without any reliance on other WiFi or mobile networks. After entering your coordinates into the App and following a simple alignment procedure, you are ready to explore the universe using the App's intuitive touchscreen menu.